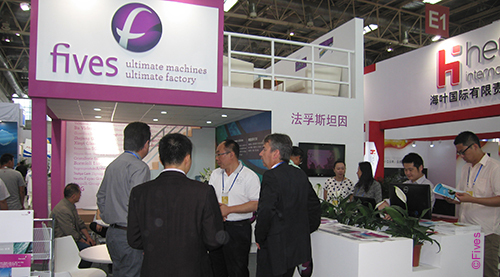 The 26th China International Glass Industrial Technical Exhibition (China Glass) was staged at Beijing on 20-23 May 2015. This exhibition is among the leading international glass exhibitions and for the first time covers an exhibition area of over 100,000 sqm. It hosted more than 800 Chinese and foreign exhibitors and attracted visitors from around the world. Fives team used this platform of the largest scale and greatest commercial significance for business talks and technical exchanges & cooperation with its foreign and domestic clients.